Can you hear that? It’s the clock, and it’s ticking. Homebuyers have their work cut out for them in what is expected to be yet another busy spring buying season. Not only is it starting later than usual and homebuyers will face the same frustratingly shrunken inventory of available homes we saw last year, but it begins in the wake of a series of small hikes in mortgage interest rates. Getting into the market as early as possible may mean the difference between having a house payment you can manage and one that will strain your budget. In a nutshell, if rates continue to rise, some homebuyers may be priced out of the market entirely. What they’re referring to is the basic interest rate, the “federal funds rate.” It’s determined by the central bank, known as the Federal Reserve, or Fed, for short. This is the rate that banks are charged when they borrow money from one another. Yes, financial institutions borrow money just like we do. Typically, though, it’s very short term, such as overnight. They do this to maintain their reserves. Federal funds rate hikes can actually be considered good news overall, as it’s a sign that the economy is strong. And, although this news doesn’t necessarily mean mortgage rates are on the rise as well, with a strong economy, it’s likely that they will. Today, the median existing home price in Medina County is around $257,000, and, while mortgage rates may change daily, the average at this writing is hovering around 4.375 percent for a 30-year fixed rate. If you wait to purchase a home, and interest rates increase a half a percent, you will pay an additional $77 per month for your house payment. A more dramatic increase could more than double that amount. If you wait long enough, however, demand may dry up and, as a result, home prices may come down. It’s a gamble, but the scenario is possible. Your best bet is to make your move sooner rather than later. 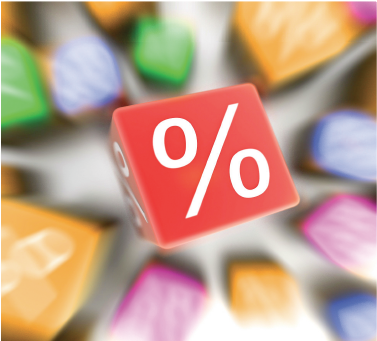 See as many lenders as possible, using the offers as leverage in rate negotiations. Nail down today’s rate now, before it takes a hike. Ask each prospective lender how long their commitment will lock in the rate, usually 90 days. Although homeowners have been reluctant to list their homes for sale, 2018 may just be the year many decide to get off the fence. It’s a wise decision, and here’s why. As mentioned earlier, nobody really knows for sure how rising mortgage interest rates will impact the housing market. What we do know is that many buyers on tight budgets will be priced out of the market. That’s your buyer pool, if you own a starter home. Right now, these homes are popular, and demanding high prices. Wait until interest rates increase, however, and that may change. Then, if you’re planning on buying another home when the current one sells, you’ll be facing the same dilemma as other buyers—rising interest rates. This strong sellers’ market really is the best time to be in your shoes, however. If you sell soon, you’ll not only get to take advantage of current high home prices, but you’ll also buy your new home with a lower interest rate than if you wait. The Federal Reserve is forecasting at least three more interest rate hikes this year, each predicted to be around a quarter point (.0025%).